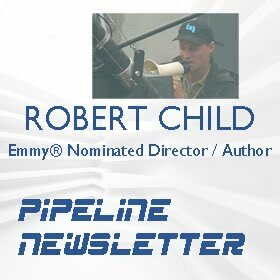 Washington Crossing, PA December 30, 2011 – Producer, director, Robert Child, has optioned the completed feature screenplay, WE BELIEVE, from Los Angeles, CA, based writer, Daniel Drennon. The script is Drennon's eighth feature length screenplay since moving to Los Angeles after graduating from Duke University. He previously optioned CAR WASH 2 to Universal Pictures and UNDER COLOR OF LAW to the Mount Kramer Company. WE BELIEVE, originally under consideration by faith-based market leader, Cloud Ten Pictures, Inc., (LEFT BEHIND, THE MOVIE) has now been put on the fast track. André van Heerden, President of Film Production at Cloud Ten, maintains a strong interest in seeing the project come to market and has inked a letter of intent with Child’s production company, Rob Child & Assoc., to potentially produce and spearhead a platform release for the film "It's a wonderful true story that Daniel has translated well on to the page," says van Heerden. "We're excited about Robert taking it on and being part of the process." 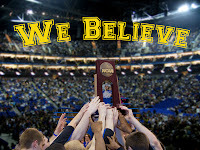 A riveting, HOOSIERS meets FACING THE GIANTS sports drama, WE BELIEVE, is the true story of the Barton Bulldogs remarkable 2007 NCAA Division II national championship season. The team, led by Coach Ron Lievense, a man of tremendous personal faith, featured first-team All America player Anthony “Ant” Atkinson, a lightning-quick 5’ 10”, 140 lb. point guard who was not offered a scholarship by any elite Division I basketball program because of his size. The Barton Bulldogs recovered from a devastating overtime loss to the eventual national champion Winona State Warriors in the 2006 Elite Eight playoffs, to become a team of destiny the following season winning a record nine overtime games with no losses. In a dramatic rematch the Bulldogs again faced undefeated, #1 ranked, Winona State for the 2007 national championship. “I had been looking for a “basketball story” to direct for several years after I had written the treatment for 13 RULES about the origins of basketball. 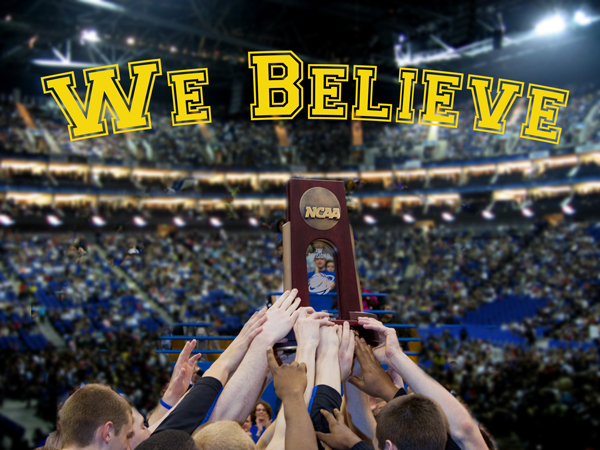 Basketball is a game founded in faith. James Naismith, its originator was an ordained minister and taught at the Springfield MA, YMCA. So the fact that WE BELIEVE is a faith-based story seems completely natural to me”, Child said. many of the actual locations as we can. There is no substitute for staying as true to the story as possible and I know the support and enthusiasm from the local community for this movie is huge”, Child commented. Originally from New England, Child has won numerous filmmaking awards including the GI Film Festival’s Founders Choice Award (The Wereth Eleven), five Telly, two CINE Golden Eagles, Best Director at the New York Independent Film Festival, and Special Jury at World Fest Houston. In 2011, Child was selected to receive the highly coveted Lifetime Achievement Award in the Arts from the Bucks County Chamber of Commerce. His work has also been named as an “Official Selection” at major United States film festivals including the New York Independent Film Festival and the Washington DC Independent Film Festival. Click here to view Child’s Director Reel. About Cloud Ten Pictures, Inc. The Wereth Eleven which started shipping on DVD on Monday is set to make a BIG impact on the west coast in the next couple weeks. On November 5, 2011 The Gary Sinise Foundation will be screening the film at a benefit in Hollywood for our troops. By way of the GI Film Festival in Washington, Sinise selected the award winners which represent the best military films being produced today. Our team is honored. 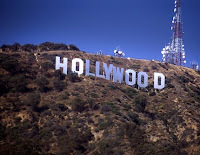 The screening will happen at Chaplin Studio within the Raleigh Studios complex at 5300 Melrose Ave in Hollywood. The one-day event will feature an evening reception where it looks like ALL of the Executive Producers of the Wereth Eleven; Joseph Small, Robert Child and Frederic Lumiere will be there to greet the public. We hope to see you there. To purchase tickets click here. In a rare move the Hollywood Post Alliance has chosen to nominate The Wereth Eleven in the category of Best Editing for Television. Wereth, according to our editor, Frederic Lumiere is the ONLY documentary nominated in the category which includes prime-time series stand outs, Dexter, Rescue Me and Downtown Abbey. This is a monumental achievement for Wereth and a recognition of the standard the film sets. The awards will be announced at a gala event in Los Angeles on November 10th at the Skirball Center. Frederic will be there and we wishe him all the best. 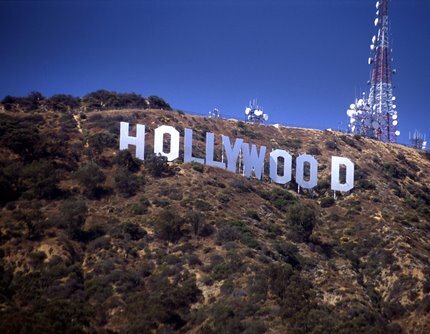 Wereth can now say, "I'm going to Hollywood!" 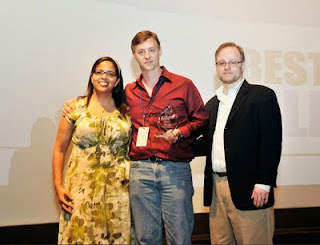 July 20, 2010 – Los Angeles – Today, July 20, 2011, screenplay semi finalists were announced in the 27th Write Movies International Writing Contest and my mafia script, BLOOD BETRAYAL, was among the winners. See list. “We received nearly 1000 screenplays, books, plays, short stories and articles from the following countries: USA, Canada, United Kingdom, Ireland, Australia, New Zealand, Germany, France, Belgium, India, Switzerland, Austria, Russia, Italy, Greece, Nigeria, Georgia, Mexico, Japan, South Africa and The Cameroon. The overall standard was very high, hence the large number of writers we found to be eligible for the final rounds.” Write Movies Competition. 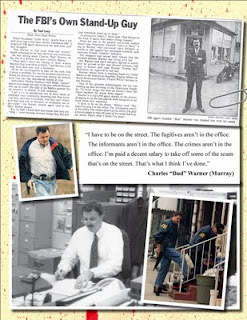 BLOOD BETRAYAL is based on the true story and the memoirs of retired FBI Agent, Charles B. Warner. He is main character, Frank Murray, in the script - a hard driving, Boston-Irish federal investigator who is despised by the Philadelphia mob. Murray ignites a one-man crusade that costs him his wife, his kids and nearly his life but leads to the take down of an entire mafia crime family in Philadelphia including kingpin, Nicodemo Scarponi, (Scarfo) in the late ‘80s. It was the first time in American history that an entire crime family was put on trial and put away under the federal RICO laws. 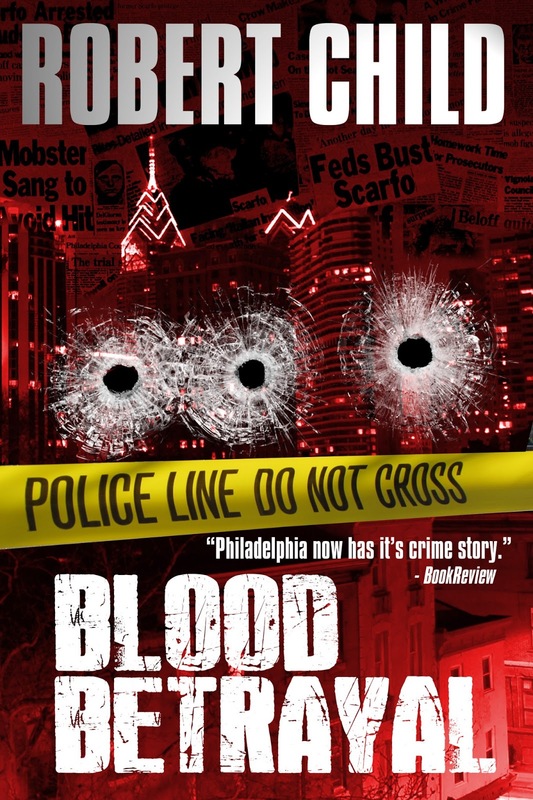 Much like a modern day Untouchables – BLOOD BETRAYAL pits one man, Frank Murray, against the mob and the mob never knew what hit ‘em. The screenplay has received excellent coverage in Hollywood and below is an excerpt from a top story analyst. “I thought it had a very compelling opening, and after a couple of pages, I had that feeling of ‘I’m in good hands,’ and eager to see where this is going. I felt lots of intrigue, stakes, and conflict right from the outset, with a clear, terse writing style that drew me in right away.” —Erik Bork, Emmy Award winning screenwriter, Band of Brothers. I went looking for a story a couple years back, an heroic but true story that had commercial potential and found Bud Warner. He is actually a very good friend of my in-laws and lives in their neighborhood. We started talking one day and I realized Bud had an incredible story to tell - one that hadn’t been told. He is a true American hero and after his success in this case he received letters of commendations from everyone from the Director of the FBI to Janet Reno and President, Bill Clinton. I read all the letters. It took us a more than a year of writing, hundreds of hours interviewing Bud at his home as the mafia world was all new to me. It is very much a secret world a true sub-culture and I had to start from basically zero. I wanted the dialog, the locations and the intensity to all ring true. I wanted the reader to fully immerse himself or herself in this dangerous world and care about Frank Murray and his crazy mission to defeat an entire crime family. Thank you “Write Movies” for this recognition it is sincerely appreciated! Celebrating 12 years of helping writers succeed, worldwide! 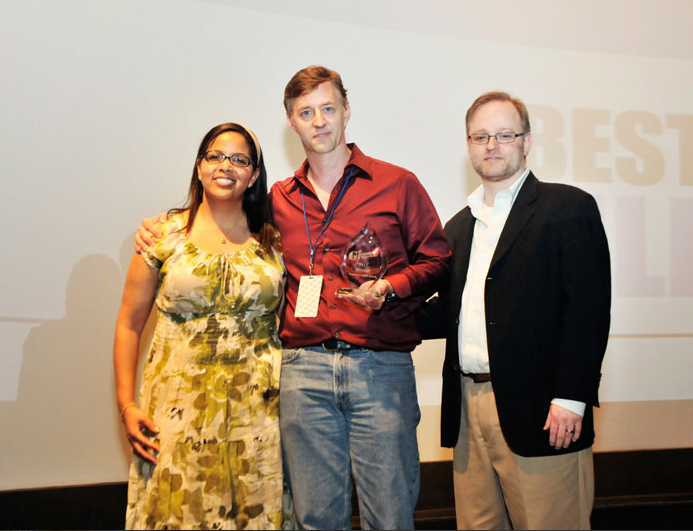 Out of close to three hundred "contest sites," WriteMovies is one of only a handful that has produced movies from winning projects. "THE LIST", was written by WriteMovies winner Marcus Folmar and acquired by Warner Bros. In addition, former winner Jon Rosten has parlayed his success in the contest into getting his project," VALLEY OF ANGELS" produced. Hundreds of others have had their scripts optioned and bought and have found representation. Several novels have also been published and plays produced. Production companies, studios and agencies contact us all the time about our winners. The founder of the company discovered Andrew Niccol who wrote & produced The Academy Nominated "THE TRUMAN SHOW" amongst others. Gettysburg, PA, July 4 – Sunday afternoon in front of an estimated crowd of 7000 spectators prior the final battle of the annual Gettysburg reenactment, film director, Robert Child, announced that his production company – Washington Crossing, PA, based, Rob Child and Assoc., LLC had been chosen produce the 150th Gettysburg Commemorative film in 2013. The Gettysburg Anniversary Committee that has operated the annual reenactment for nearly 20 years stated, "We are thrilled to have Rob rejoin our team after the fine work he did at the 140th Gettysburg with the award winning Gettysburg: Three Days Of Destiny. 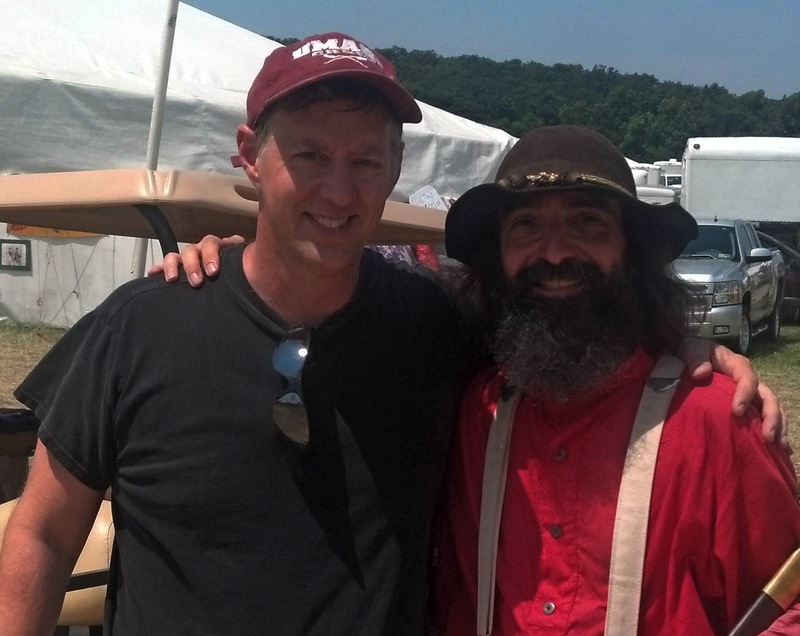 With Rob's experience, professionalism, background and film making philosophy, this year's film, 150th Gettysburg: Final Measure Of Devotion, filmed entirely at the event, not only promises to be action packed; but satisfying and informative to the historian in each of us. 150th Gettysburg: Final Measure Of devotion will be filmed entirely in high definition with a Remembrance Day premier and delivery. Both the Gettysburg 140th & 145th were delivered on time as promised. To watch the video trailer go to www.gettysburgreenactment.com and go to 150th DVD. As we have done in the past - we will ship the video out in order received. 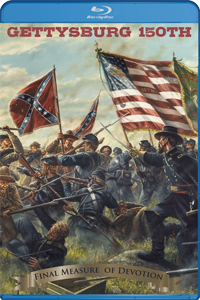 We are also in the planning stages with Rob to Live Stream Pickett's Charge so that you or your friends can view it in Live Time or view it later." The Wereth Eleven was honored with the Founders’ Choice Award at the Fifth Annual GI Film Festival at the United States Navy Memorial in Washington, D.C.
Washington, D.C. – May 17, 2011 – The epic docudrama, “The Wereth Eleven,” was featured and honored as “Founders’ Choice” at the prestigious Fifth Annual GI Film Festival in Washington, D.C. The film is based on the heroic story of the escape made by 11 American soldiers at the start of the Battle of the Bulge during World War II. “The Wereth Eleven” was one of 31 films to premiere at the GI Film Festival held at the United States Navy Memorial between May 9 and May 15 to honor the heroic stories of the American Armed Forces and the worldwide quest for freedom and liberty. Narrated by “The Closer’s” Corey Reynolds, “The Wereth Eleven” tells the true story of 11 soldiers of the segregated African-American 333rd Field Artillery Battalion who dramatically escaped German soldiers after their unit was overrun. Their 10-mile trek from their battery position to Wereth, Belgium led them to refuge with a Belgian family until a Nazi sympathizer revealed their presence to an SS Reconn Patrol. 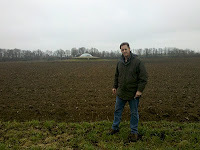 The soldiers surrendered, but were taken to a field, where they were tortured, maimed, and shot on Dec. 17, 1944. The killings were investigated, but never prosecuted. The powerful and poignant film is an epic docudrama with stunning Hollywood-grade visual effects, interviews with witnesses, and archival footage. “The Wereth Eleven” was produced by The Ardennes Group with executive producers Small, Child, and Lumiere. The film was directed and written by Child, and edited by Lumiere: producer, director and editor of the groundbreaking Emmy Award-winning series “WWII in HD,” narrated by Gary Sinise. 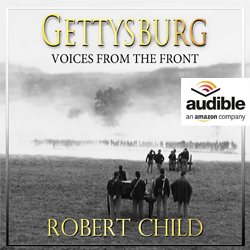 Just discovered that my film on Gettysburg, Gettysburg The Boys in Blue and Gray is being packaged with Ken Burns, The Civil War as a commemorative DVD offer for Memorial Day. For this post, I wanted to introduce folks to a dedicated member of our armed services, Capt. Nathan Tierney, who has served three tours in the Middle East. Capt. Tierney has founded the website, The Frontlines, which is dedicated to supporting our veterans and allowing their voices to be heard. I am a wholehearted supporter of Nathan’s efforts and I have asked him to share his personal story, which is both heart wrenching and inspiring. I hope you take some time to explore and support his extremely worthwhile effort on behalf of our veterans. As a man and as a soldier, he represents the best of what our country has to offer and his own words follow. As a boy, my father told me to be a boxer in life. For every hit, give one back in the form of a selfless act. This guidance has helped me through hardships, by shifting focus from personal ailments to what I can do for others. Following my third tour to the Middle East, my father’s advice was tested two weeks into yet another overseas tour, when I received notification that my 3 year-old son had passed away. Losing a child upsets the natural order of life, because a parent is simply never supposed to outlive a child. As a father and man, my only child’s death was a crushing defeat in which I was ill prepared; no military training, or words of encouragement could stop me from the spiraling course of self-destructing shame, guilt, helplessness, and depression that I experienced. Stifling thoughts of suicide, abandoning the military, and my family for a nomadic and destitute life took more than intestinal fortitude, and simple desire to continue living; it took direction as found by adhering to my father’s second bit of advice, “Every day be the man and father that your son Joshua can be proud of.” His advice taped to my door, gave me the missing tool I desperately needed to resurrect myself, chart my course for a continued career in the military, and most importantly begin to once again cherish life. But what if I had not been given that tool? Would I have become part of the 20% of suicides in the United States being a veteran? Or wallowed in my self-pity and found myself as one of the 105,000 homeless veterans sleeping on our streets each night? The cup of suffering is different for all people, but what you do it that suffering is entirely dependent upon the tools you have in your own proverbial toolbox. Confronted years later by abnormal biopsy results, I was able to transition to serving in an altered capacity without the self-doubt or loss of direction that had previously derailed me. However, this past July I saw an image that changed my life forever. Coming out the front door of Walter Reed Army Medical Hospital was a young soldier, early twenties in his PT uniform, struggling to put his backpack on... he was struggling because he was a dual amputee. As the young man struggled out the door, alone, and passersby’s starring vs. helping, I wondered what is his story? Why are people not helping him? He had obviously given so much to our country and yet there he walked alone, probably facing a discharge and yet with his whole life ahead of him. Is abandoning our men and women of the armed forces what our nation has come to? Where are his tools? 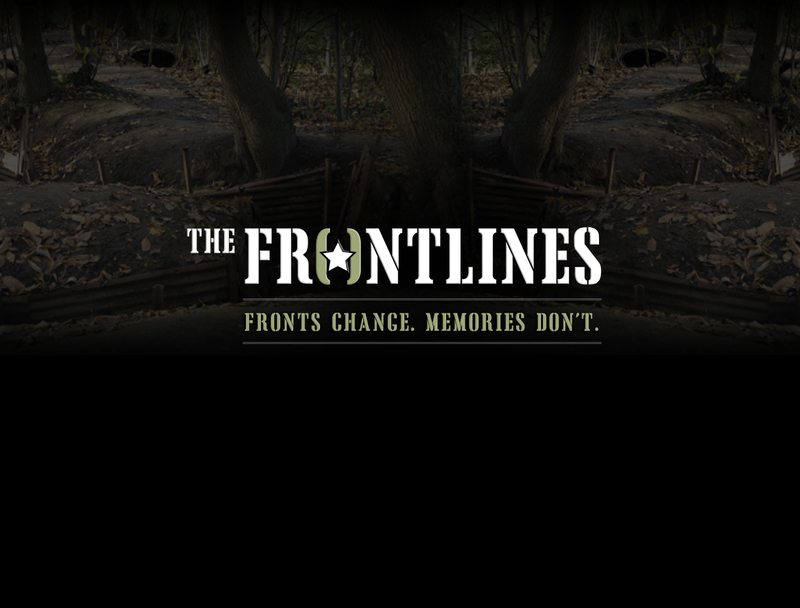 Inspired by this wounded warrior, I created and launched The Frontlines website this past Veteran’s Day. 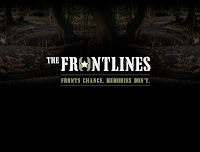 The mission of The Frontlines is to empower members of the armed forces, veterans, family and friends through a network that provides resources, education and the ability to creatively share their stories. Having seen first-hand the number of our young soldiers at Walter Reed that are less fortunate, I am reminded of our civic duty to take care of those who have selflessly sacrificed so much for our country. Whether you served in peacetime or war, as an infantryman, sailor, pilot or marine, each and every man and woman that has worn the uniform has a story. And unless those stories are told, they will be forgotten. I believe that good storytelling heals the soul. It is a visceral experience between the storyteller and the audience that transcends all cultures, beliefs and nations. Through our stories, shared experience, and insight, we can be boxers, and give a hit back in the form of tools to provide a seamless transition from active duty to veteran status. No medal or mission has filled me with a greater sense of accomplishment than to advocate for veterans. Though the launch of Frontlines is a significant accomplishment, it is only the beginning step to transform our nation through engagement and support of active citizenship. I believe we can bridge the divide between military and civilian cultures, through promoting candid conversation regarding the cost of war to our nation and its protectors. Our brave service members require neither sympathy nor accolades, but rather a supportive environment where voices can be heard in an open, inclusive dialogue. It is only through preservation and education that our nation will remain great, and can we help our grandchildren understand serving for a cause greater than oneself. This has been quite a humbling yet extremely proud week in my professional career. I was just notified that I have been made an honorary member of the incredibly heroic USS Franklin (CV-13) crew the most decorated sailors in US Naval history. 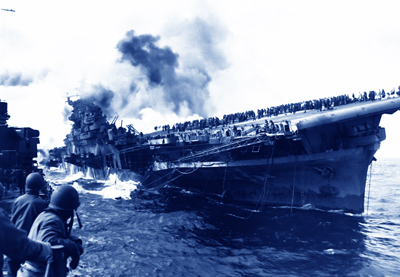 Emotions run deep, still today, in the surviving men of the USS Franklin. The carrier, known as “the ship, which wouldn’t die”, survived a direct hit by a Japanese armor-piecing bomb just 40 miles off the coast of Japan in March 1945 and was eventually able to return under her own power to New York for repairs. The enemy bomb took more then 700 lives in an instant and the ensuing explosions from the Franklin’s own arms stores turned her into a deadly fireworks display that blasted hundreds more men over the side 90 feet into the cold Pacific. In directing and co writing the film, USS Franklin: Honor Restored, at the same time I was directing, The Wereth Eleven, I have gotten to know, albeit at a distance, some of the finest men ever to wear the uniform of the U.S. Navy. The Franklin’s story, the men’s story, had never been told only hinted at in anguished personal accounts captured by author, Joseph Springer, in his book INFERNO . Joe and I co-wrote, USS Franklin: Honor Restored, and Joseph Small of the Ardennes Group produced the film to set the record straight. 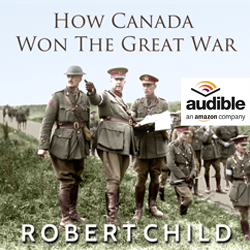 That, “setting the record straight”, meant revealing the story of the men who hit the water or were transported off the ship unconscious or too wounded to stand becoming known as the “wet soldiers” and the subject of Captain Lesley Gerhes rage. He insisted that no order was given by him to abandon the ship and that any man who had not remained – had deserted his post – no matter what his condition. And Capt. Gerhes instituted a sweeping court marshal. It went as high up as the Secretary of the Navy, James Forrestal, but all crewmen were eventually cleared of all charges. The shame, however, of being labeled a “deserter” was a burden these proud men continued to carry their entire lives. Several crewmen have stated plainly to my co-writer, Joe Springer, “Now that the story has been told I can die in peace”. Being named a crew member of the USS Franklin is the most humbling honor I have ever received in my professional career as it signifies the work I have created has had a profound personal impact in people’s lives. Not every film has the opportunity to do this but I am grateful and again honored and truly humbled that the effort on behalf of the Franklin’s crew, of which I am now a part, will shortly be seen by the world. USS Franklin: Honor Restored, narrated by Dale Dye, releases this summer. 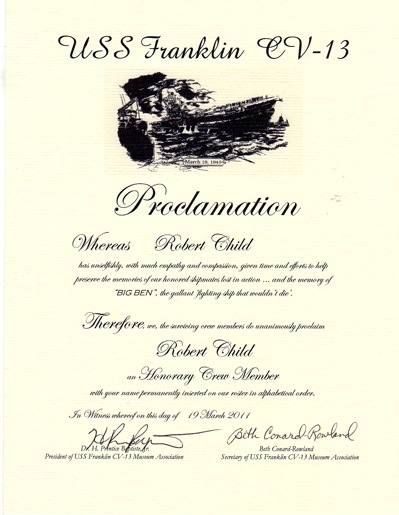 Doylestown, PA – March 29, 2010 – It was announced today that filmmaker, Robert Child, of Washington Crossing, PA, has been selected as an honoree and recipient of a Lifetime Award in the Arts from the Central Bucks County Chamber of Commerce. The award will be presented during the Chamber’s 37th annual awards gala to be held at Spring Mill Manor in Ivyland, PA, on April 30th. 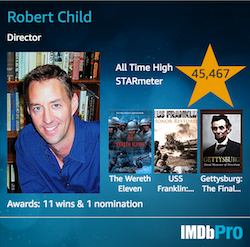 Child, who has worked in the entertainment field for 27 years in both television and film, is the winner of more than 20 national film making awards including; five Telly Awards, two CINE Golden Eagles, a Best Director Award at the New York Independent Film Festival and a Special Jury Award at Worldfest Houston. 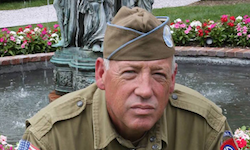 His latest film, Caught by the SS: The Wereth Eleven, was aired on the National Geographic Channel on February 16th and premiered at the National World War II Museum in New Orleans. 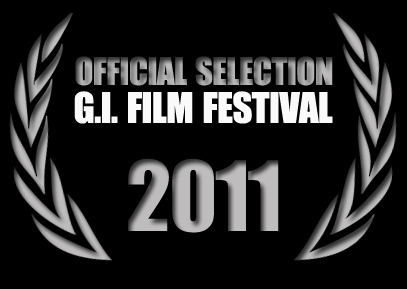 In addition, the film was just officially selected to screen at the GI Film Festival in Washington, DC, on May 15th. Child spent 15 years in network and cable television in New York working on such widely seen programs as Emeril Live! (Food Network), Who Wants To Be A Millionaire (ABC), The People’s Court (Warner Bros.) The Daily Show with Jon Stewart (Comedy Central) and many others. Past honorees of the Lifetime Achievement Award from the Central Bucks Chamber include Michael Smerconish, George Nakashima and Bob Krist. 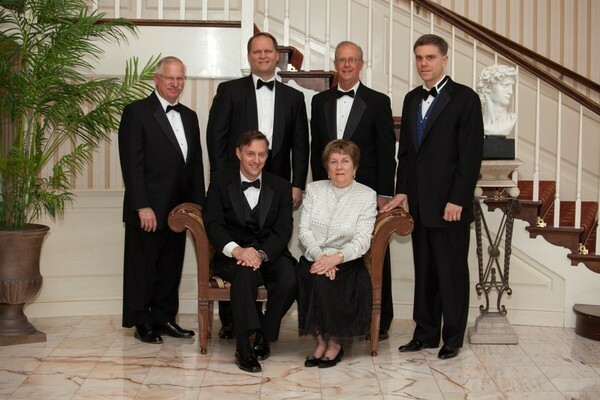 The Central Bucks Chamber of Commerce was established in 1946 by a group of 12 area businessmen. Today, with memberships of over 2,600 and growing, the chamber is second only in the eastern Pennsylvania region after the Greater Philadelphia Chamber of Commerce. Read the story about my Silent Wings film being licensed to a Czech television network. 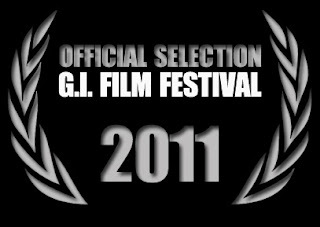 I was notified last night that The Wereth Eleven has been officially selected to screen at the prestigious 2011 GI Film Festival in mid May in Washington DC. We will be on hand at the festival and conduct a ten-minute question and answer session after the screening. Exact date and time to be announced. We are honored to be recognized by the one festival dedicated to telling the stories of America's true heroes - our men and women in uniform. The screening is open to the public but tickets will go fast. The GI Film Festival is the first film festival in the nation to exclusively celebrate the successes and sacrifices of the service members through the medium of film. This year’s event will be held May 9-15, 2011 in Washington DC. The GIFF will present films from new and established international and domestic filmmakers that honor the heroic stories of the American Armed Forces and the worldwide struggle for freedom and liberty. The Democratization of Movie Theaters. The time has certainly come. Actor and Military Advisor, Dale Dye, has completed narration on my forthcoming film for the Ardennes Group, USS Franklin: Honor Restored. Dale's motion pictures credits include; Platoon , Saving Private Ryan, The Thin Red Line , The Great Raid as well as HBO mini-series, Band of Brothers and The Pacific. I couldn't be more pleased with Dale's involvement and helping to tell this important story from the WWII Pacific theater. He brings a resonance and credibility to the storytelling that few actors who do not have his distinguished military background can match. He and I had a great time recording the tracks in Hollywood just a short time ago and I greatly look forward to working with Dale on a future project. 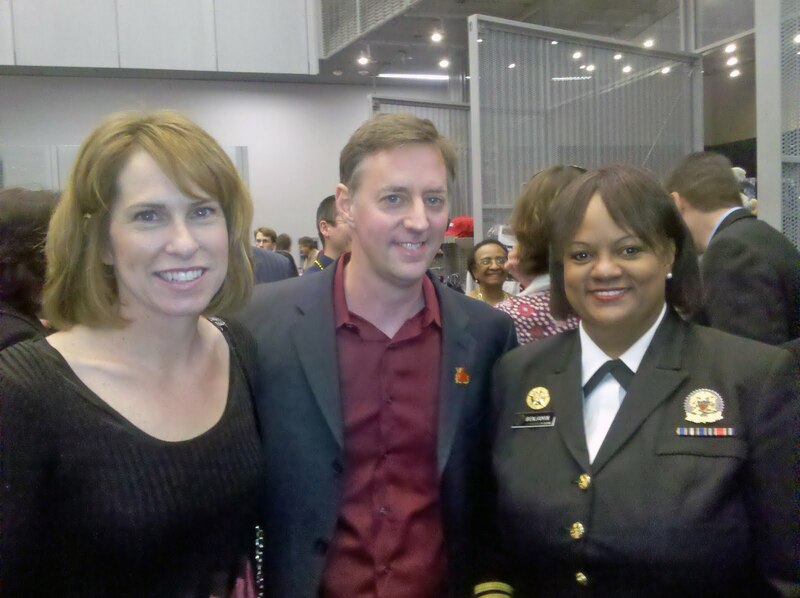 New Orleans, LA - On February, 19th my wife, Amy, and I had the distinct honor and privilege of meeting our US Surgeon General, Vice Adm., Regina Benjamin, at the premiere of my film, The Wereth Eleven at the National WWII Museum. Admiral Benjamin was in attendance as she is the niece of one of brave soldiers of the 333rd Artillery Battalion, Willie Alphonse, who is featured in the film. Meeting the Surgeon General got me wondering about how the office came to be and what it's history was. I was surprised to learn it started out as a office in the Navy to provide health care to sick and injured merchant seamen. In 1870, the Marine Hospital Service was reorganized as a national hospital system with centralized administration under a medical officer, the Supervising Surgeon, who was later given the title of Surgeon General. And today the Surgeon General uniform reflects the naval heritage of the office with collar insignia and shoulder board with contain an anchor along with an eagle on a staff. I finally had the opportunity to visit what was once the strongest fortress in Europe, Fort Eben-Emael in Belgium near the German border. 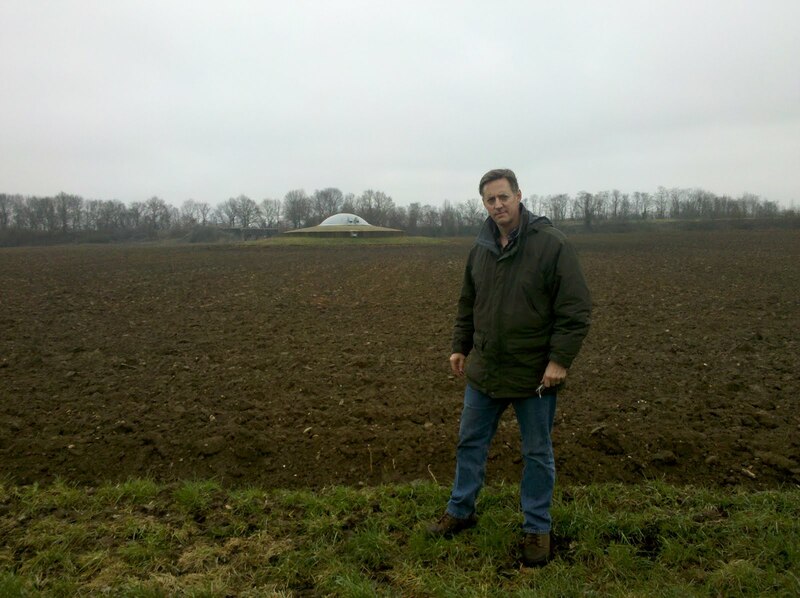 I featured the story of this fortress in my 2007 film, Silent Wings - The American Glider Pilots of WWII . In May, 1940 Hitler devised a bold plan to land gliders on the top of this underground fort during WWII. These gliders carried infantry and the new one hundred pound hollow-charge bomb. The fort, considered impenetratable, was breached in 20 minutes. And the battle was over in a day. The seizing of this fort dealt a great psychological blow to the allies and German troops now had an open road to the French coast which they reached in 10 days.